In an earlier introductory post of a photography exhibition on my personal blog, Bought and Sold : Voices of human trafficking. I shared with my readers on the topic of slavery and human trafficking. They are an example of something that we human beings thought/assumed that it has improved yet it is still a big issue in the modern society today. “Bought & Sold” is a powerful photographic art exhibition on human trafficking by award winning photographer Kay Chernush. 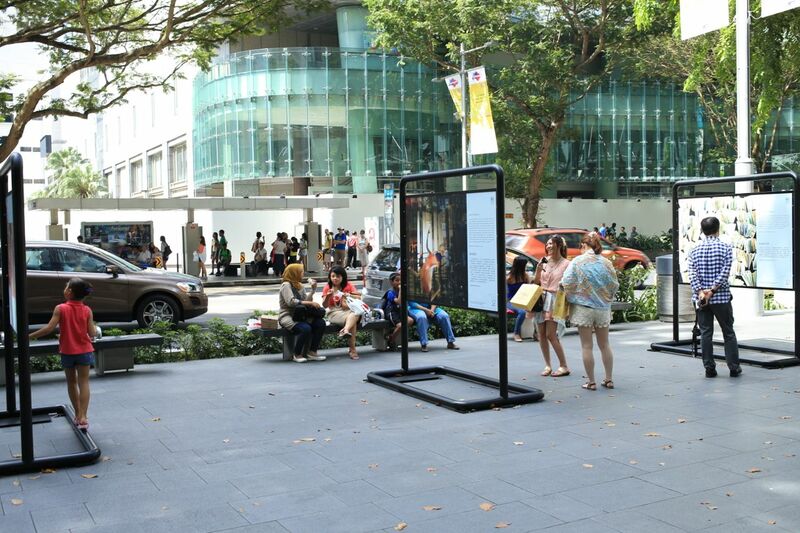 It is organised by Singapore-based anti-trafficking organisation EmancipAsia, together with ArtWorks for Freedom Singapore, to raise awareness of forced labour and sexual exploitation in Asia Pacific. Are there still people in slavery today around the world ? Based on the research and statistics here on theEmancipAsia website, there are an estimated 27 million people in slavery today around the world. Can you do something? Yes, you can play a part to help by spreading the awareness of slavery and human trafficking that is still lingering in our world today, EmancipAsia’s link on “What Can You Do” will certainly be useful. I decided to make a trip down to the photography exhibition myself, to visit and have a feel of the topics and issues raised with the topic of slavery and human trafficking. 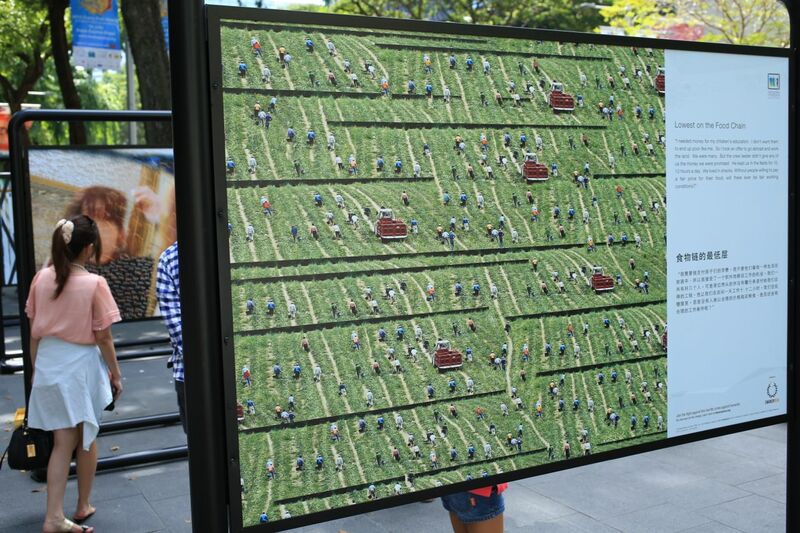 At the walkway in front of Mandarin Gallery at Orchard Road, there were many artworks on display, quite a number were more abstract artwork / painting as compared to a photograph. I continued walking, viewing each artwork carefully and I found a photograph in each of them, very abstract at times. Inside each artwork photograph, tells the story beside inside the artwork photograph. The stories complement the abstract photographic artwork, they convey strong powerful and meaningful messages to all of us, living in a safe and prosperous country, the issues of slavery and human trafficking still remains a big issue in our modern society today all around the world. I strongly encourage all of you to go down to the photography exhibition, view the artistic photographs and read the stories. 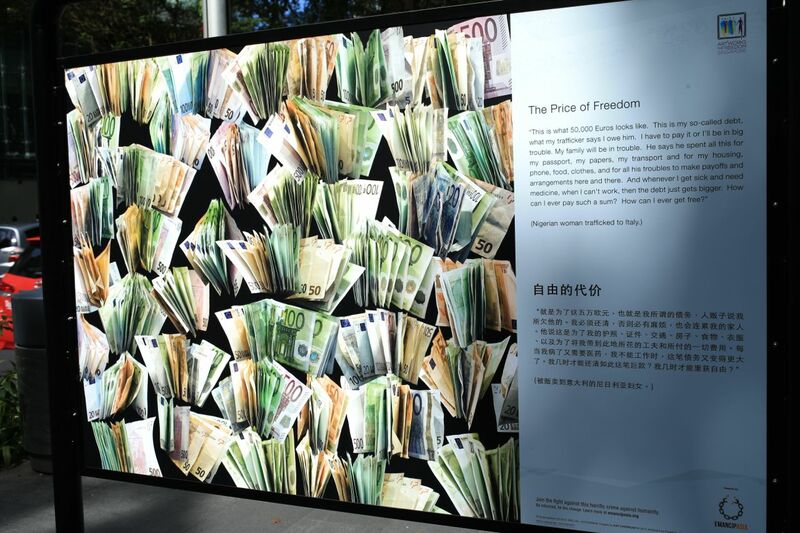 Phrases such as “The Price of Freedom” and “Somebody’s Sister Daughter Mother”, might not mean a lot to us in our safe and prosperous society, yet such phrases will mean a lot to those people being forced into slavery or human trafficking. N.E.mation! 7 is back !